Reverend James R. Schook, a priest of the Archdiocese of Louisville, died on Saturday, December 8, 2018. 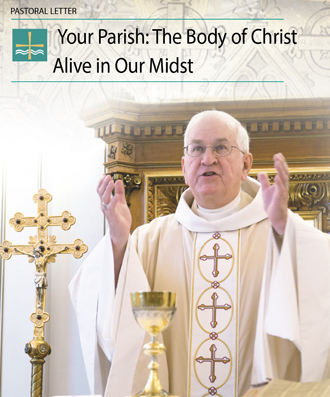 Ordained a priest in 1975, Father Schook was 71 years old at the time of his death. In 2009, Archbishop Joseph E. Kurtz put Father Schook, then pastor of Saint Ignatius Martyr Parish in Louisville on a leave of absence after the Archdiocese received a report that Father Schook had abused a minor in the 1980s. The Archdiocese also reported this accusation to the police. A police investigation led to an eventual indictment and conviction of Father Schook for seven felony accounts of child abuse. On the advice of the Archdiocese of Louisville Sexual Abuse Review Board and with the approval of the Holy See, Archbishop Kurtz permanently removed Father Schook from ministry and directed him to lead a life of prayer and penance. The Archdiocese extends its sympathy to Father Schook’s family. In praying for the repose of his soul, we also pray for continued healing for his victims and for all victim survivors of childhood sexual abuse.